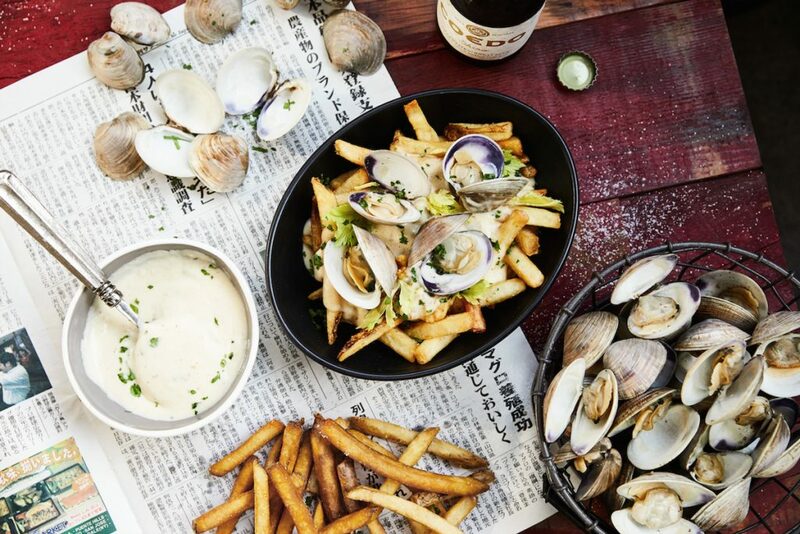 Chow down on chowder fries at new Plan Check Santa Monica. 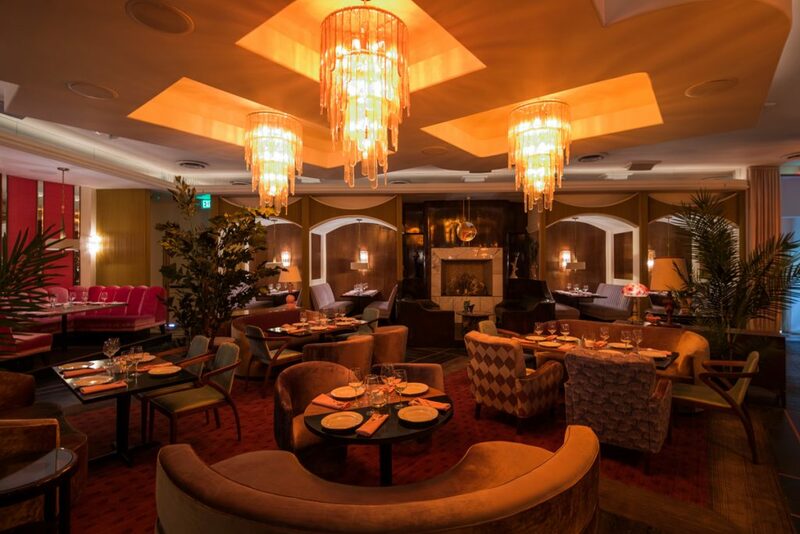 Delilah opens in West Hollywood. Photo by Elizabeth Daniels. 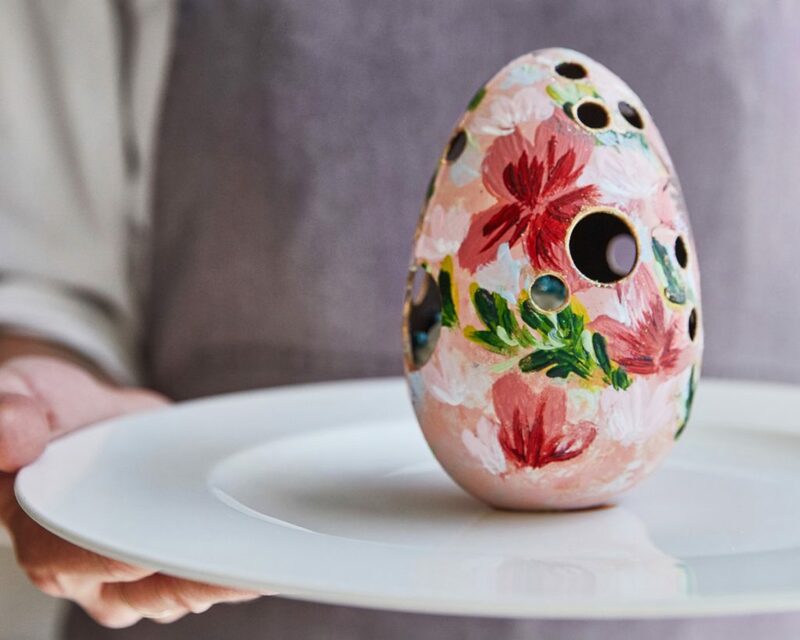 The “Faberge” egg-inspired dessert at The Belvedere is hand-painted in shades of pink for the month at The Peninsula Beverly Hills. 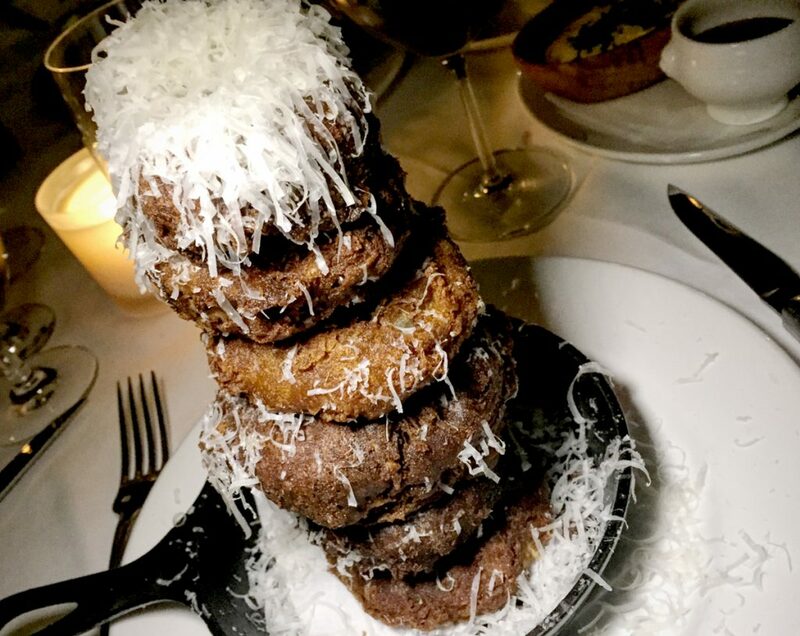 Jumbo onion rings with remoulade and parmesan at Baltaire.